Over the past few months, Random Acts has partnered up with several amazing organizations and individuals (namely, To Write Love on Her Arms and IMAlive, a crisis chat network), each of whom have made it their mission to raise awareness for mental health issues. For this month’s #GetKind theme, we’ve decided once again to focus on that very same topic, and we want you help us spread the word. 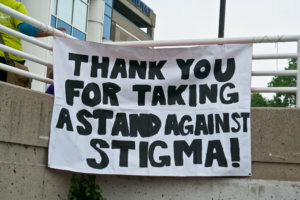 According to a study released by the Substance Abuse and Mental Health Services Administration (SAMHSA) in February 2014, as many as 42.5 million adults in the United States alone suffer from some form of mental disorder, including conditions such as depression, bipolar disorder, or schizophrenia. In July last year, the World Health Organization (WHO) also reported that the ratio of resources and mental health workers to patients was, on average, a staggering nine for every 100,000, respectively. Random Acts hopes that by drawing attention to mental health causes, the rest of the world will follow suit and get the right people and organizations the tools, funding, and staff numbers they so desperately need. That’s where you come in. 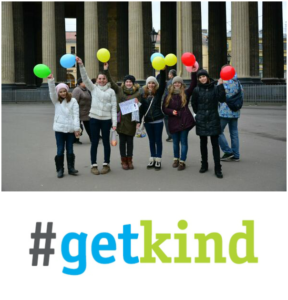 How can I help spread the word & #GetKind for mental health? Support those who support others. 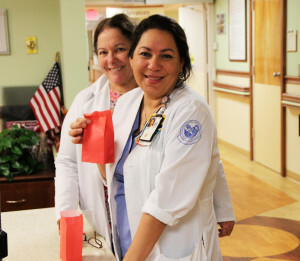 Caretakers, nurses, doctors, medical assistants, animal caregivers, and corresponding administrative staff spend long hours on their feet, providing assistance to others. Social workers, firefighters, EMT’s, and emergency response teams also make a habit out of expending themselves both physically and mentally in the service of others. All of them can develop compassion fatigue. Try to take a bit of weight off of their shoulders if you can by acknowledging all the hard work that they do and asking them what they need in return. Donate to a charity that supports mental health awareness. Most of you have heard of our friend Jared Padalecki’s incredible #AlwaysKeepFighting campaign, Jensen Ackles and Random Acts co-founder Misha Collins’ You Are Not Alone (YANA) campaign, and Osric Chau’s Proud to be Unique campaign, all of which focus in some way on mental health or positivity. 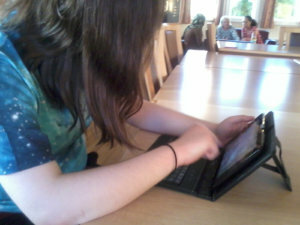 Follow their lead and find a cause in your community (locally or virtually) to which you can make a donation. Added bonus? Donate in someone’s name and surprise that person with the news later. Educate yourself first. Whether you live with a condition yourself or know someone who does, learning about that particular condition can help ease some of the stigma associated with obtaining the appropriate treatment for it. Contact an organization that deals with mental health concerns so that you’re better able to lend support if need be. Hold someone’s hand. Random Acts Regional Representative (Australia, East) Sarah Cavanagh, a clinical psychologist who has been working in the field for over ten years, explained last fall: “We all have mental health just like we have physical health and that mental health can go up and down, sometimes depending on what’s happening with our lives.” Don’t forget that situations and outside influences change the lives of those we love. Be aware of those who have been affected by crisis and lend a kind hand to hold when needed. Help a mom (or dad)! We’ve said it before and we’ll say it again: New mothers are often forgotten in all the excitement surrounding their new bundle of joy. Postpartum depression affects about 13% of moms in the U.S. alone, so while they receive treatment from their doctor, remember that you can give support whenever possible. Fathers too, can feel overwhelmed by the sudden stress of raising a child and having to provide for a tiny, crying human 24/7. Cook a meal or two or offer to babysit their little one so they can get some much- needed rest. Make someone smile. It’s hard to know just what sort of troubles others have run across in their lives. Make someone’s day a little brighter by leaving an anonymous, kind note where you know someone will find it, or by passing out flowers to strangers. Sometimes the smallest acts have the biggest impact. Be good to yourself. With all the things going on at work, at home, or at school, trying to find time to plan a kindness project for someone else can be a bit draining. And if you’re not properly taking care of you, you likely won’t be able to take care of others. Find a way to decompress: Take a relaxing bath, spend time with close friends or family, schedule an appointment to talk with your school counselor or personal therapist if you’ve been holding off, or treat yourself to your favorite food, movie, or book. You deserve it, after all. This month, help Random Acts shine a light on the topic of mental health in your corner of the world by reaching out and getting active — even if that entails writing a simple note to a friend dealing with a specific issue or a nabbing an extra cup of tea for a co-worker who’s been having a particularly difficult week. After all, every one of us could all use a little extra love and kindness these days. Why not let the trend start with you?